In the 4th ODI between India and West Indies, which is being played at Brabourne Cricket Stadium in Mumbai. In this match, Captain Virat Kohli won the toss and decided to bat first. Batting first, Dhawan and Rohit started well for India and added 71 runs of the opening wicket before Dhawan dismissed for personal score of 38. 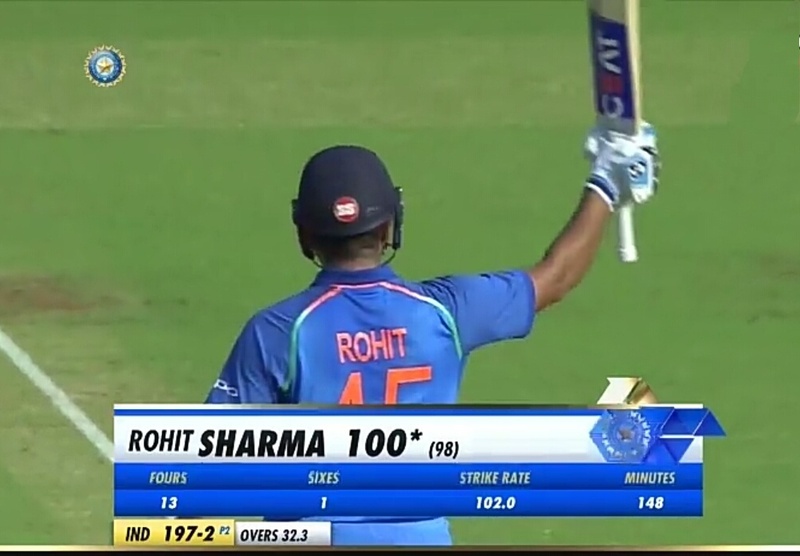 But Rohit continued his batting and scored his 21st ODI century. 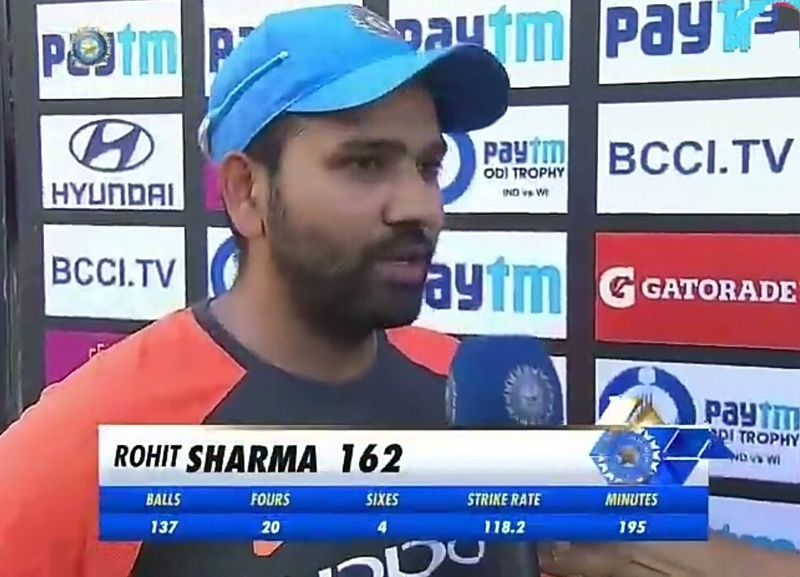 Rohit faced 137 balls and scored 162 runs with the help of 20 fours and 4 sixes. Apart form Rohit, Rayudu also scored a his 3rd century and helped India to post a humongous total of 377/5 in 50 overs. 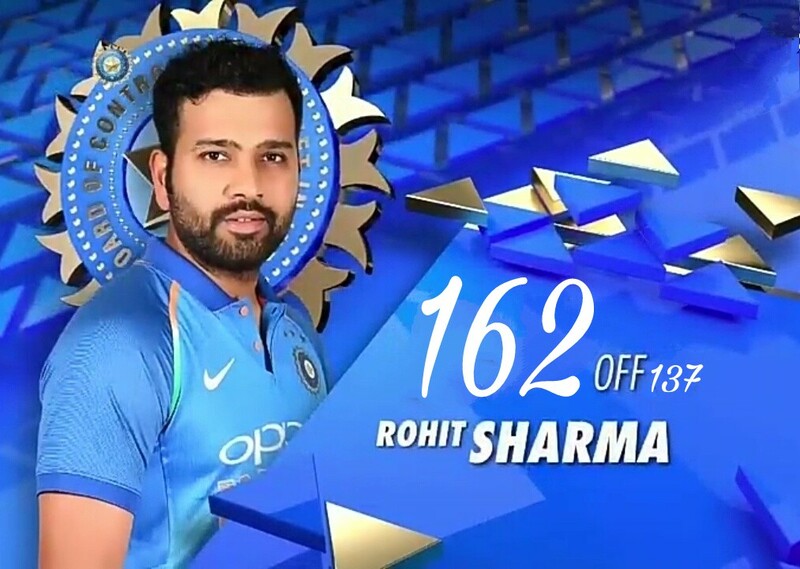 With this amazing knock, Rohit has made some special records and left behind many players, lest see. Apart from this, Rohit scored his 19th century as an opener which is also makes an interesting record. 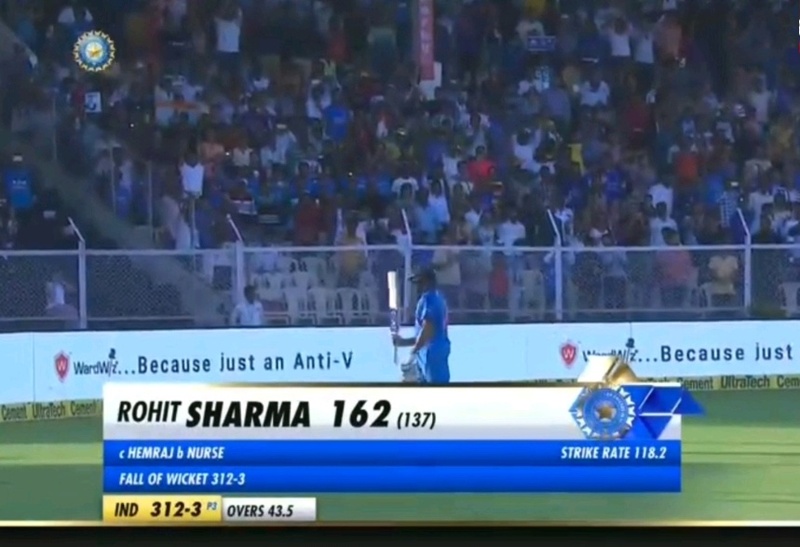 Rohit has scored 19 ODI centuries as an opener in 107 innings. With this he overtook Sachin who achieved this record in 115 innings and Dilshan in 152 innings, while Gayle scored his 19 hundreds in 172 ODI innings.